Resurrecting frames from the past. 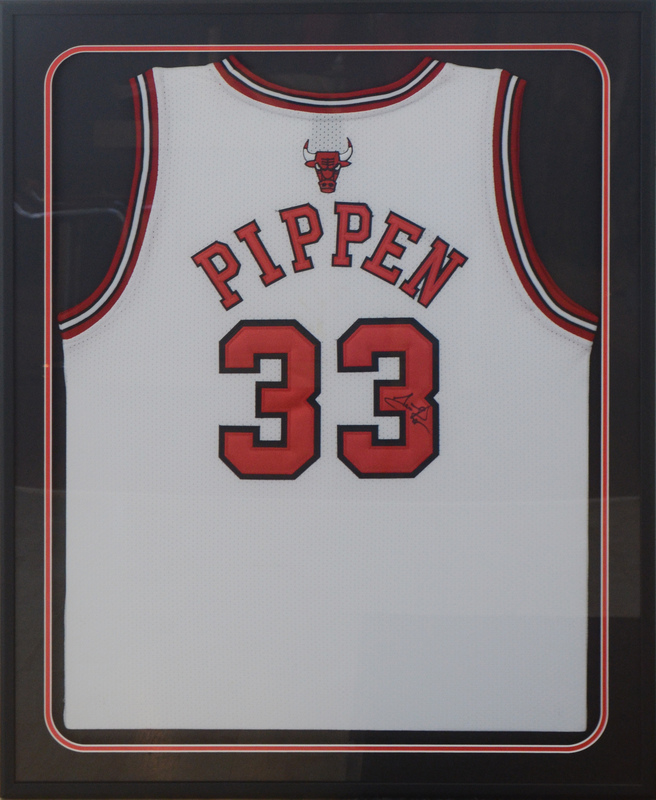 Custom framing has changed a lot in the past 50 years and even more in the last 20 years. Conservation technology in both materials and methods has greatly improved and art preservation has never been better. However, there is something to be said about the frames of the past. Intricately made and uniquely shaped in the style of the time period, they work perfectly for old photos and art alike. We recently had a client who wanted to frame an old family photo in a beautiful period frame she had found at an antique shop. We gutted the old frame and updated the backing but kept the domed glass that made it so unique. She also wanted an oval frame for a grouping of photos from roughly the same time. 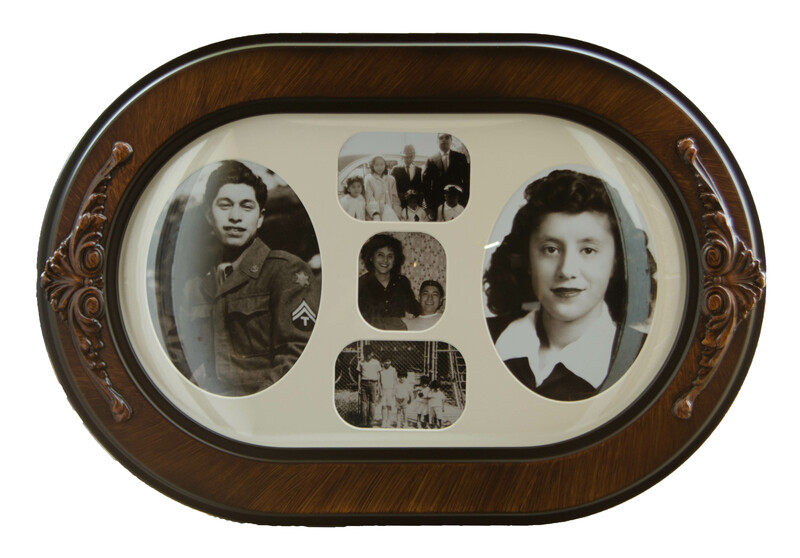 We had a new frame made by Inline Ovals for the group of photos using the same style of domed glass. Even though one is nearly a century old and the other is new they work very well together. Bring us your antique frames you have displayed in your home and we will be happy to upgrade the inside without changing that that beautiful period look that you love. Remember framing consultations are always free and encouraged! Conservation Framing: Preserve Your Art and the Environment. 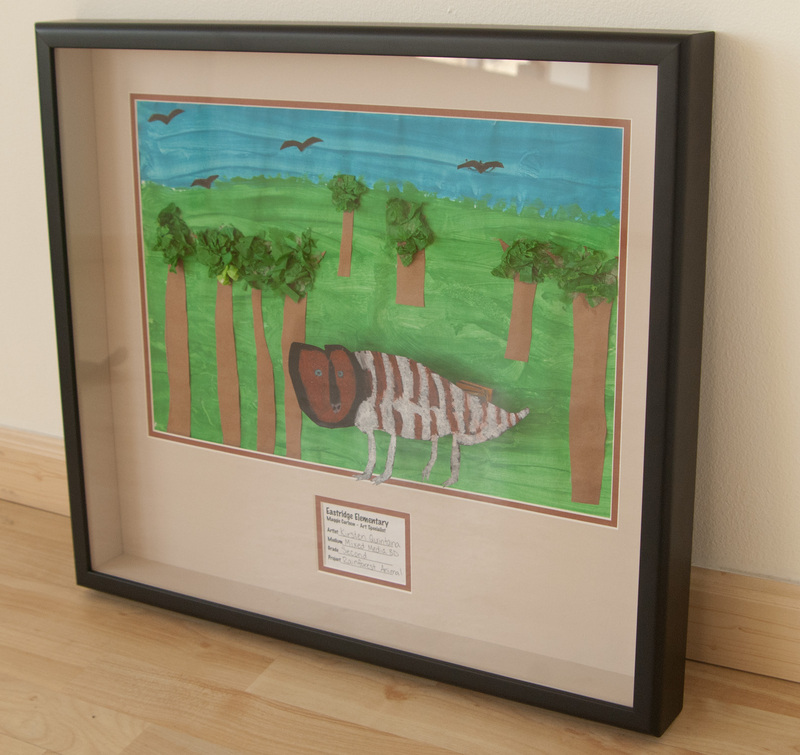 Picture framing is not often considered in the conversation regarding eco-friendly industries based on the nature of the products that are traditionally used. Most frames are made out of, you guessed it, wood, and that wood comes from our forests. We are people who care deeply about our environment and cherish every moment we get to spend in the beautiful places our world has to offer. As a picture framers and people who care about our environment it is import to us that we try to find ways to minimize the impact that our business has on the planet. That is why we carry Framerica®’s Bonanzawood® moulding line. It is a line of moulding that is made of recycled, post consumer goods, such as; pallets, skids, construction materials, trim ends and saw dust. This “waste material” would otherwise be destined for our landfills or burned. The product is a composite wood of the highest quality, value, and is very consistent. We recommend it to all artists who are showing in our gallery and need framing, for its affordable price-point, and to anyone who is looking for a great moulding made in America with the environment in mind. By choosing Framerica®’s Bonanzawood® and indirectly supporting their mass recycling effort – our business and our clients effectively keep hundreds of thousands of mature trees standing. Framericas production facility in New York has been designated an “EPP Downstream Licensed Facility” signifying its pledge to produce mouldings using some of the greenest core materials available. In honor of our 2nd annual “Surface Film” photography show to benefitTrout Unlimited, we are currently running a sale of 20% off your entire order when you use Framerica®’s Bonanzawood® moulding! Lets work together conserve your art and our planet!